Looking forward to returning to Rural festival next weekend. It’s in a really beautiful location and there are some really interesting acts playing this year. 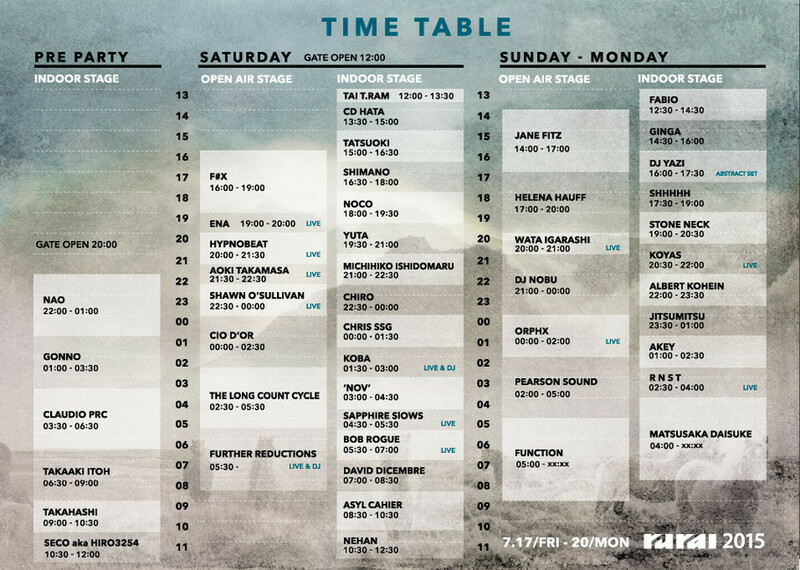 I am especially looking forward to the Helena Hauff –> Wata Igarashi –> Dj Nobu –> Orphx stretch on the Sunday night… I’m DJing on the indoor stage, playing on Saturday night from midnight after Maru and Chiro from FISH. I am expecting a fun weekend of interesting music with lots of friends from the Japan scene and abroad. Should be good!